The Point & Insurance Reduction Program (PIRP), approved by the Department of Motor Vehicles helps drivers reduce their insurance liability and points against their license. If you have a traffic ticket in Greenburgh or any other town in Westchester County, You Need Our Former Prosecutor Fighting For You. Call Us Now at 914-723-7900. Q. How will a defensive driving course affect my license and driving record? A. Point reduction applies only to points assessed for violations that occurred within the eighteen months immediately before course completion. It does not affect points for earlier violations, and cannot be used as "credit" against future violations or points. You cannot reduce your point total lower than zero or store points for future offenses. If your license has been revoked or suspended, or if a violation hearing has already been scheduled, point reduction will not affect that action. You may be able to file a coram nobis to withdrawn your previous guilty plea. Point reduction does not prevent or cancel a mandatory revocation or suspension for violations such as DWI, DWAI, or three speeding violations within 18 months. Points may be reduced only once in any 18-month period. The DMV point system and insurance company "point" systems are separate and not related. Point reduction on your driving record does not affect points assigned by your insurance company for violations and accidents. Completion of a course under the "Point & Insurance Reduction Program" also cannot prevent or reduce the calculation of points affecting a "Driver Responsibility Assessment." Q. How do I receive the insurance reduction? A. Your course sponsor will mail you a completion certificate within 45 days after you completed the course. If you charged with a speeding ticket or traffic ticket, you should call our team of lawyers at 800-893-9645. Our firm an be frequently found representing clients throughout New York State. Some courts that we often represent clients include Rye City Court, Wayawanda Town Court, Cornwall Town Court, Patterson Justice Court, Pine Plains Town Court, Piermont Village Court, Yonkers City Court, and Ramapo Town Court. 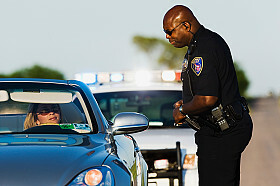 If you are charged with a speeding ticket or traffic ticket, call our team of lawyers at 800-893-9645.